If you have a child that loves to get creative you know that the cost of craft supplies can add up quickly. 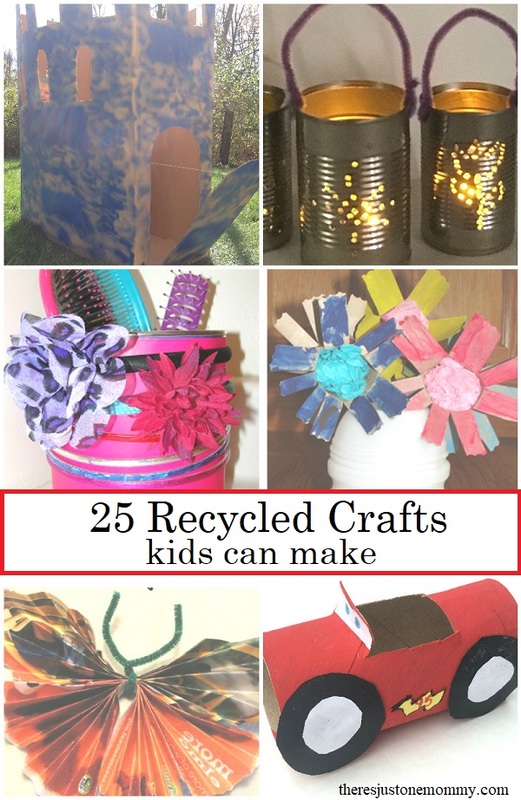 One way to keep your crafting budget in check is by doing kids crafts with recyclables. Not only are recyclables an inexpensive craft material, but crafting with recyclables is also a wonderful way to teach kids to think about the environment. 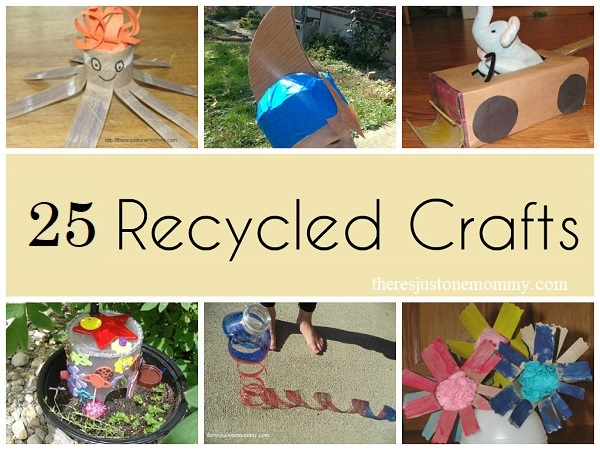 With Earth Day coming up in April, I wanted to share a few of our favorite recycled crafts for kids. Affiliate links may be used below. Celebrating Earth Day? Read The Lorax (a great book about taking care of earth); then create your own Cardboard Tube Lorax. For a fun hands-on history activity, make tin can lanterns. Use pages from old magazines to make this beautiful butterfly craft! This Water Bottle Sun Catcher is simple to make and looks amazing when the sun hits it! For those Star Wars fans, make this recycled X-Wing Fighter! Have a vehicle fan at home? This Recycled Bottle Helicopter will have their imagination soaring! Too early to catch fireflies? Craft this Plastic Bottle Firefly which can double as a nightlight when camping! Don’t toss that old drink pouch! Turn it into a drink pouch change purse. This Toilet Paper Tube Octopus is fun for little ones to craft and play with. You may also want to try this cute little cardboard tube bunny. One of our favorite crafts every year is building a fairy house from recyclables. They always come out so unique, like this beach-themed fairy house. Spring is the perfect time to make your own mini garden. Add to the dress up clothes with this Pretend Play Helmet made from cereal boxes. This Pretend Play Jet Pack is sure to take your preschooler on many far away adventures. Allergy season leaving you with lots of empty tissue boxes? Make a few Tissue Box Vehicles — perfect for giving stuffed animals a ride! This do-it-yourself Water Wall will keep them cool on hot days! Recycle over-sized tin cans into classic tin can stilts for lots of fun outdoor play. Hair supplies all over the place? Recycle a hot chocolate canister into a cute hair supplies organizer! Turn large packing boxes into thrifty play houses, like this cute Sweet Shop or this fun Cardboard Castle. Instead of tossing out old Christmas cards, recycle them into your very own recycled Christmas card ornament. Have a Lightning McQueen fan at home? They will love this cardboard tube car craft. For even more recycled crafts for kids, check out these 40 Fun Egg Carton Crafts and Activities. Originally published April 4, 2015. Thanks for sharing on Share it Saturday! I’m featuring this on my Share it Saturday today! Great ideas! I love the idea of using the hot chocolate canister to hold hair accessories. Especially because the hairbands can fit around the outside – terrific!